There probably wouldn’t be a smart home industry if it weren’t for smart light bulbs. But have you ever stopped to ask yourself what makes a light bulb smart? In this article, you’ll learn all the little details about smart lighting products. Consider it your guide to all the things you wanted to know but were too afraid to ask. With this knowledge in your pocket, you’ll be able to make the right decisions about smart lighting products for your home and budget. What Makes a Smart Bulb Smart? By definition, smart lighting is a technology designed for energy efficiency. Unlike traditional LED bulbs Are LED Light Bulbs Worth Buying for Your Home? Are LED Light Bulbs Worth Buying for Your Home? The light-emitting diode bulb (LED) has only just started to become popular within the last decade. Here's what you need to know before deciding if LED bulbs are right for you. Read More , which are increasingly also energy efficient, smart lighting offers automated controls that can make adjustments based on external conditions such as occupancy or daylight availability. To determine whether a lighting product is smart, consider two simple giveaways. First, the product will have “Smart” somewhere in its title. 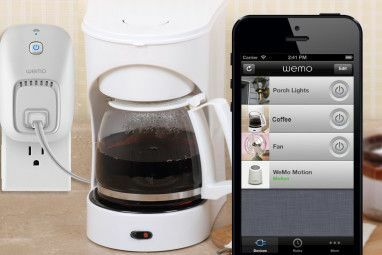 Second, look at the description for the product for language indicating that it’s controllable with an app How to Switch Lights On or Off With Your Phone on the Cheap How to Switch Lights On or Off With Your Phone on the Cheap In this article, you’ll learn about the many ways to control lights in your home with your phone. You’ll also see how each solution compares in terms of pricing. Read More . The biggest names in smart lighting include Philips Hue, LIFX, TP-Link, GE, Lucero, Sylvania, Cree, Stack, Ilumi, and more. Smart home products, not just smart lighting, must connect in some way. The four biggest smart home automation standards are Wi-Fi, Bluetooth, ZigBee, and Z-Wave. We’ve all heard of Wi-Fi. It’s what we use to connect our laptops, cell phones, and tablets to the rest of the world. Wi-Fi takes a lot of processing power, which isn’t a problem for devices that you can recharge overnight. 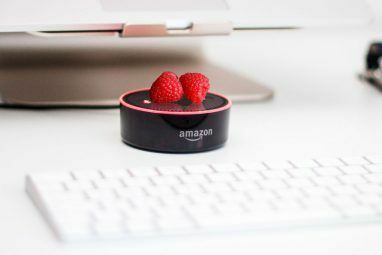 However, it isn’t the ideal solution for smart home products Future Smart Home Trends and the Products You'll Be Using Future Smart Home Trends and the Products You'll Be Using It's time to jump into your time machine. You’re about to uncover what could be the biggest trends in the smart home industry in 2021 and the products you might be using. Read More such as light bulbs, window sensors, and the like. Bluetooth is another standard connection that’s also imperfect. Though Bluetooth requires less power than Wi-Fi, it has a very limited range. Additionally, there are limitations to the number of devices that you can connect using Bluetooth. This brings us to ZigBee and Z-Wave, which have become the two most common smart home wireless standards. Like Bluetooth, these standards require very low power consumption. Better still, their ranges are much greater than Wi-Fi because they operate through what is known as a mesh network. Unlike Wi-Fi, which requires a router as a central connecting point, mesh networks allow each device to have a wireless signal. In doing so, devices can talk to one another in a more direct manner. When one device drops out, alternative routes remain, allowing the whole system to stay online. Another benefit to both ZigBee and Z-Wave? You can use them to connect hundreds of smart home devices at the same time. Now that you know how smart lighting products connect, it’s time to look at some of the terms you may find when shopping for a product. Knowing what these terms mean will help you make a more informed choice. If you’re a little bit confused by these measurements, don’t be. When it comes to smart lighting products for the home, the choices are still somewhat limited 22 Ways to Light Up Your Life With RGB LED Strips 22 Ways to Light Up Your Life With RGB LED Strips You can buy five meters of RGB LEDs strip lighting for under $10 -- so here's some great project ideas to use them around your home. Read More . In the United States, A-19 or E26 is the size for most bulbs. This light features a “medium” or “standard” base. You’ll also see E26 bulbs with a BR30 form factor. These are often described as flood or down lights and are perfect for recessed can fixtures. You’re also likely to run into E-14 “candelabra” smart lights very soon now that Philips Hue has announced two new products based on this standard. If you’re new to smart lighting, you’ve probably experienced some sticker shock when it comes to pricing. Smart lighting products aren’t cheap Philips Hue Smart Bulb Alternatives to Save Money Philips Hue Smart Bulb Alternatives to Save Money In this article, you’ll learn about some of the less expensive alternatives to Philips Hue and see how they compare. Read More , ranging in price from around $15 for white bulbs to $55 for bulbs with color. However, these prices don’t sound so bad when you consider how long they’re supposed to last. Before smart lighting, the light bulb industry used something called the Average Rated Life (ARL) to determine how long a bulb would last before it went out. This rating took into account how long it took for half the light bulbs in a test batch to fail. For example, an ARL of 1,000 meant that it took 1,000 hours for 50 percent of the bulbs to stop working. When expressed in hours, this number is straightforward – such as a bulb promising 25,000 hours of use. When a bulb promises to last a certain number of years, things aren’t nearly as transparent and vary by vendor. The reason for this confusion is that you don’t necessarily know how many hours that bulb is on each day. The bottom line: Smart light bulbs typically last a very long time. In fact, in most cases, they’ll last for decades. You might have to look at the fine print, however, for a more detailed number. You’ll hear a lot about lumens when looking into smart lighting. In its most basic form, lumens is the brightness of a light bulb. The larger the number of lumens, the brighter your light bulb can become on the highest setting. Besides lumens, you’re also likely to run into the term “color temperature.” The three types of color temperature for light bulbs include Soft White (2700–3000K), Bright White/Cool White (3500–4100K), and Daylight (5000–6500K). In other words, the higher the degrees Kelvin, the whiter the color temperature. 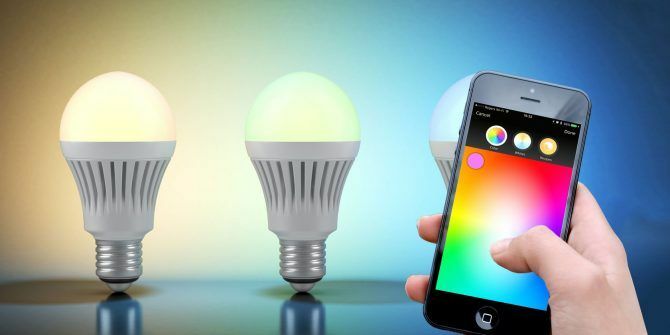 One of the most popular smart light features is their ability to change colors. Most of those available in the market promise more than 16 million color choices. 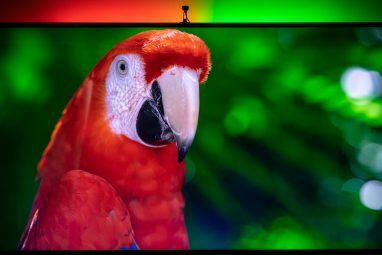 This number comes from the RGB (red, green, and blue) system that’s often used to represent the colors available on a computer display. With white bulbs, you can’t change the color or temperature of the white. However, you can dim it like other smart light bulbs. White ambient bulbs still don’t allow you to change the color, but you can change their temperature, usually between warm soft white and bright daylight. From a pricing perspective, color light bulbs are the most expensive, while white light bulbs are the least expensive. White ambient lights fall somewhere in between. It’s important to know what to look for when buying smart lighting products. Important factors include the size of the bulb’s base, color choices, how they connect, and more. Hopefully, this article addressed those issues to make you a more informed buyer. Now you can shop with confidence when looking for the best ways to set up the lighting in your home. What type of smart light bulbs do you buy and why? Let us, and other readers, know by commenting below. I feel like you didn't researched Google home since it's launch date..
Google home has tons of smart home features. Saying it's basic is really lacking. It will pair with smartthings hub, wink hub, and will work with IFTTT. Smart home possibilities are almost limitless with IFTTT and those two major hubs. Another thing you missed is that Google does in fact have multiple user accounts. It can tell the user just off voice patterns alone. World's better than Amazon's multi user interface. Overall I'm glad you wrote the article there is valuable information here. Just make sure it's relevant if your trying to help the public decided on buying something like this. Good comment. Thanks, Simple Jack.